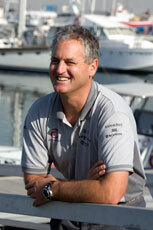 Hamish Ross spoke about the court proceedings, reiterating that there were two proceedings; the original complaint and the more recent injunction requiring the process to be speeded up and asking for a place to be designated for the Golden Gate's multihull challenge and the race conditions to be defined. He said that court action had not been needed to get SNG to agree to speed things up, a phone call would have sufficed. His comments on the GGYC challenge are best left until later. On the subject of acceptance of the CNEV challenge, Ross said that if SNG had refused a challenge from the Spanish team, the chances of ending up in court, with the Spanish as plaintiff would have been very high. "Let's be clear," he said "this is not what GGYC want to talk about; we all know their concerns have nothing to do with the Spanish Challenge. We would be happy to discuss their views on the protocol, in the same way we have with the other 5 challengers. Myself, Ernesto, everyone would be more than happy if they dropped their challenge and rejoined the America's Cup family." Asked if those discussions were conditional on the court case being dropped, Brad Butterworth and Hamish Ross, simultaneously, gave an adamant "No." Pressed again, there was another, simultaneous, "No" from the two men. Ross went on to say that there would be a telephone discussion with GGYC tonight, adding "There are no conditions, we would dearly like them to rejoin the America's Cup as a competitor." He said tonight's talks would be about their protocol concerns and would remain confidential between the parties, in view of the pending legal proceedings. Neither of the two principles would participate, he said, but adamantly denied that meant this would just be a case of 'talks about talks'. Asked how the protocol had been formulated, Ross said "Essentially what happened was that we had protocol discussions with the Spanish, we then proceeded with the main draft and gave it them for review, they came back with some comments and we had further discussions and went through another draft phase. There was yet more discussion and another draft phase, before agreement was reached. It was very much the same process as we went through with the GGYC, in 2003. In fact, it was an almost identical process and ended with a document we were both happy with and then we won the America's Cup and everything went forward." The question of whether the Supreme Court had jurisdiction over the protocol, particularly regarding mutual consent and the fairness of it, arose. Ross answered "No! The issue in court is a very simple one, it is whether the Spanish challenger is entitled to be accepted as a challenger under the terms of the Deed of Gift. GGYC has raised two complaints; one is that CNEV is not an incorporated yacht club and the second is that it hadn't held an annual regatta before it challenged." He went on to say "On the first point of incorporation: you'll remember good old Alan Bond, colourful Alan Bond, first challenge from the Sun City Yacht Club; a newly created yacht club; then move forward to the Canadian Secret Cove Yacht Club that held its annual regatta after it had been accepted by the NYCC, we have correspondence confirming that from the NYYC; move forward again and we have the Nippon YC, an unincorporated Japanese yacht club. 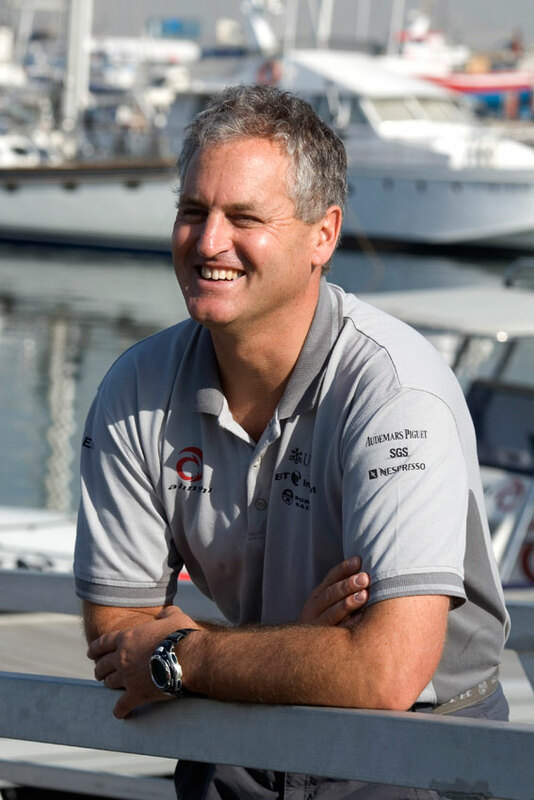 Of course, the most significant of all is the Royal New Zealand Yacht Squadron: challenger in 87; challenger 92; winner in 95; defender and winner, in 2000, and then lost, of course, to Alinghi in 2003, which was never incorporated in that entire era."